To call newly opened Collingwood venture The Craft & Co ambitious is to underestimate it. Not content with offering three food menus and matching courses with wine, beer or spirits, the team is filling the taps with its own beers too. Joining the long list of venues located along Melbourne's 86 tram line, and sitting at the north end of Smith Street, the converted warehouse that previously housed a menswear store is unassuming from the outside – until you spot the window display showcasing a gleaming spirit still (pictured below). Since opening on December 1, the Smith Street venue has been impressing and surprising those who have wandered through its doors as the sheer scope of the project becomes apparent. It’s not just a restaurant, not just a bar, not just a beer and wine store, but all of that and more. Before long, patrons will be able to take lessons in cheese or salami making, or learn more about brewing directly from the in-house brew team. Operations manager Umberto Fato says the response from the Collingwood community since their door first opened has been a joy to watch. “People are just amazed at what it is,” he says. “As soon as I mention we want to teach people to make salami, cheese or beer, their eyes light up. The team takes the concept of "paddock to plate" seriously – making their own bread and cheese and curing their own meat is just the start. The on-site distillery and 10 hectolitre brewery are two of the stars of the show, with collaboration projects and contracting space for fledgling gypsy brewers a key part of the unfolding philosophy. Their brewery will play host to a rotating stream of collaborating brewers and, in time, the spirit still at the front of the store will be doing its thing too. “We want to have all the taps filled with collaboration brews. 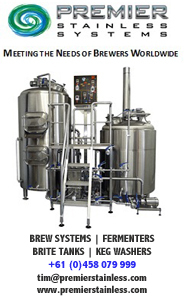 We want small operations coming in, brewing, and having us put it on tap,” says Umberto. Until those taps are ruled by in-house brews, they will be hosting a rotating selection of craft breweries from across Australia. The first tap list featured brews from the likes of Kooinda, Feral, Wolf of the Willows, as well as the results of the first brews from The Craft & Co itself. Their first forays into brewing have produced a clean and light pilsner and a pleasantly hoppy pale ale made in collaboration with Napoleone Brewers from the Yarra Valley. Overseeing the brews is The Craft & Co’s brewer Greg Mace, who previously spent several years at Dux de Lux in New Zealand. 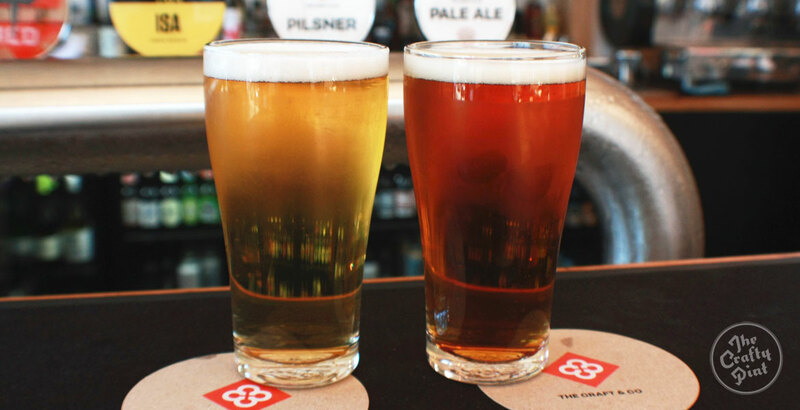 With their own dedicated taps excepted, none of the taps are tied down in order to allow greater scope for showcasing Australia’s best craft brews. Their matched food menu will be revised regularly to suit the evolving wine and beer lists too and, for the cost of corkage and the retail price, patrons can select a bottle from the liquor store downstairs to accompany their meal. The entire venue, from the wine and beer list through to the retail space upstairs, has been conceived as the world of craft and consumption joining together, says Umberto; you no longer need to travel to the producers as they have been brought to you. “You can be sitting at the table while they’re in there making it, which is quite a unique experience. I think customers really crave that these days,” he says. As well as creating a venue that effectively hosts so many different elements – there aren’t too many liquor stores with a full restaurant and artisan goods store wrapped into the deal – there has been a strong emphasis on getting the feel of the space right. Now that Smith Street is open, attention can turn to getting their second venue near Mornington up and running. The 40-hectare Patterson Lakes property that the group has been developing will soon be producing the first vintage from its on-site winery, while a microbrewery, vegetable garden and a second, larger roastery are in the works. In the meantime, there will be plenty of work to focus on at Smith Street, with the vision for the venue as big as the space itself. “Whenever you open up a venue, you have a demographic in mind,” says Umberto. “With The Craft & Co, the demographic is everyone.